Panthers down 29-40 at the half. Yeah, terrible 3 point defense and the wild drives are annoying. Kessens also trying to do too much, he is not the key to our offense, that's not his game. He needs to be a 10 pt per game player not 17 points. This is getting embarrassing now. The guys are really careless with the ball, really silly turnovers. And we have no outside threats, so they are packing the paint. Very bad showing proving where the state of our basketball team is now. I can tell its going to be a sub 500 season for us. Oh well. Not looking good for FIU or Evans right now. Got to make a drastic improvement from now on. Go Panthers! FMC was just a cupcake. We should be beating schools like Stetson and not break sweat. I liked the evens hire but we haven't seen any improvement. The new AD will have all major coaches chosen for them by Pete Garcia. Evans deserves to be fired. All of them will be early into their contracts if he is. I thought Evans was a good hire to take a chance on but man, there is zero improvement in this team. Hope he turns the season around. I would take a look at Jon Scheyer as a possible replacement. When that time comes UM associate head coach Chris Caputo would probably get a strong look. 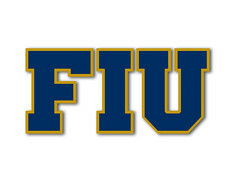 I love my FIU sports but just can't get interested in basketball team. Seems like coach Evans is getting a pass and butch hired took attention from the team losing to Stetson. We're playing a school called AveMaria on Wednesday. Holy crap if we lose to them. We've lost to Stetsono, U of Southern Alabama, Jacksonville and now Youngstown stat which has only won 1 game. Thank God for Ave Maria. I'm pretty well read and have never heard of this school. I don't think Evans is getting a pass per say. His teams have shown some flashes but nothing consistent and the team is headed in the wrong direction. Fresh of the Butch signing, I see PG going for a change at the end of the season. A C-USA team should not be losing to all these barely DI teams. BTW, I think PG still wants the AD job and if he can turn things around in the next 2 years, he'll be "invited"/ decide to stay. The WORST thing about Evans is that none of his freshman qualify. We literally have 0 freshmen this year. It's bad recruiting and it's going to set the program back even further. Go F I U!